Excitement filled the air in Pasadena ISD as the Education Foundation Prize Parade marched down the hallways at several campuses blowing whistles, ringing bells and shouting for joy ready to surprise teachers in their classrooms. 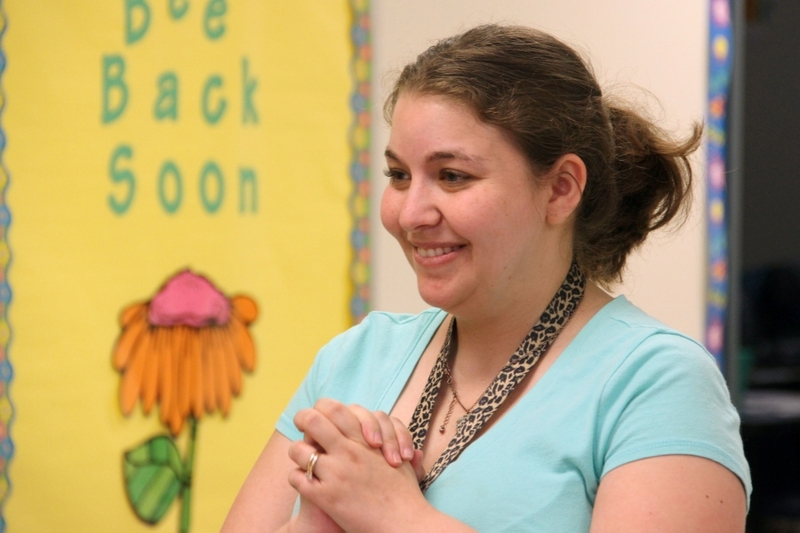 This event, occurring once in the fall and once in the spring, awards mini grants to teachers for classroom funding they would otherwise do without. 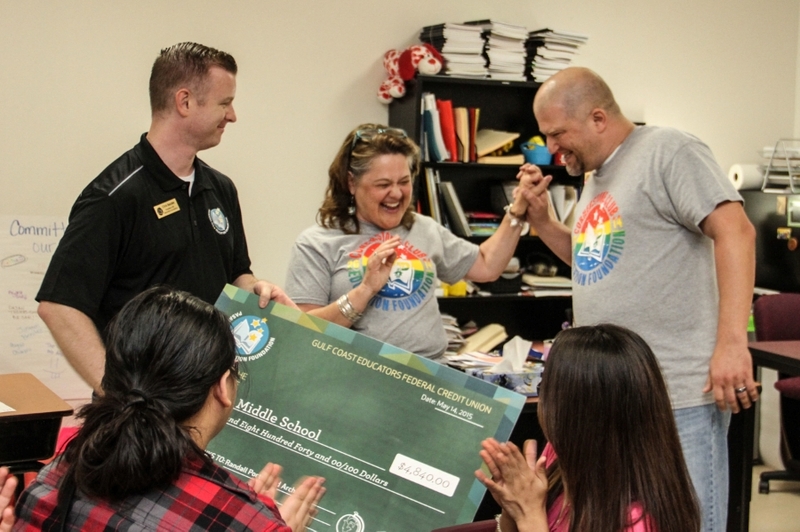 Four teams tackled the entire district and handed out over $103,000 in classroom grants to 17 different campuses. 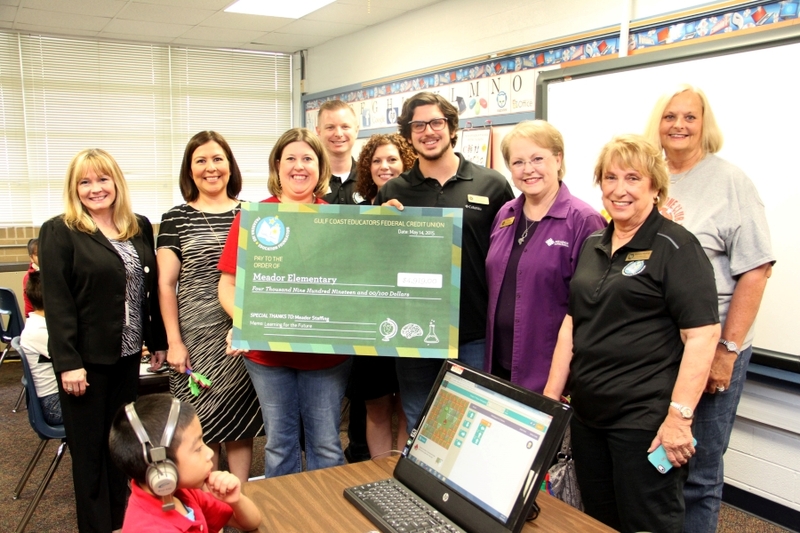 These grants will be used for various classroom enhancements like iPads for education, providing language software, robotics programs and more. Thanks to all of the generous sponsors and the Pasadena ISD Education Foundation for making this possible. Sponsors were: AG Ogden Management, Inc.; Pasadena Chamber of Commerce; ABC Dental; SBWV Architects, Inc.; ABC Dental; Cornerstone Club; Andrews Kurth, LLP; American Acryl LP; Gulf Coast Educators Federal Credit Union; McDonald's; Meador Staffing; Brooks and Sparks/West Belt Surveying, Inc.; Southern Tile and Terrazo; Community Bank of Texas; Neighbors Emergency Center; Randall-Porterfield Architects; Jack and Kathy Bailey; John O. Harris Interest, Inc.; Phelps Insurance; IBI Group; Lexus of Clear Lake; ARG Real Estate LLC; In Memory of Mel Cowart; Terry and Karen Brotheron. Mini Grant: EAFK-Changing Students One Virtue at a Time; Amount: $5,000; Sponsor: AG Ogden Management, Inc.
Mini Grant: TI-84 Plus C Silver Edition; Amount: $4,893; Sponsor: Sellers Bros.
Mini Grant: WEDO LEGOS; Amount: $4,315; Sponsor: SBWV Architects, Inc.
Mini Grant: Exceeding Expectations with iPads; Amount: $4,590; Sponsor: John O. Harris Interest, Inc.
Mini Grant: "DREAM, DESIGN, PRINT"; Amount: $3,479; Sponsor: Brooks and Sparks/West Belt Surveying, Inc.